Tolerancing and other important design information can be found here. 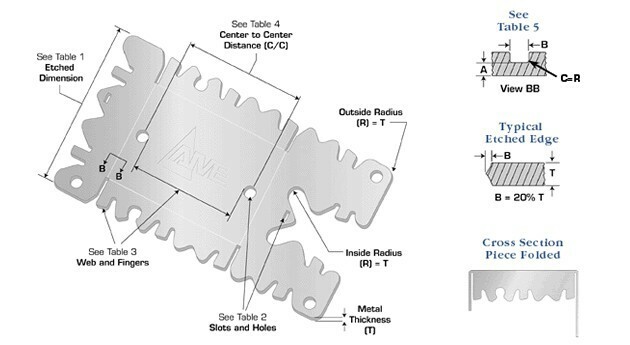 The chemical etching technical data below highlights our photo etching capabilities and lowest tolerances achievable based on many variables such as metal thickness, metal type and special part features such as holes, slots, and half-etched designs. Our goal is to design a photo tool with as many parts per sheet of metal as possible. As a general rule of thumb, thicker material and lower tolerances will require a smaller sheet yielding fewer pieces. On the contrary, thinner metal with an extended range of tolerances will increase sheet size and part pieces. Photochemical etching techniques are designed to achieve the lowest possible tolerance and the highest number of parts per sheet in order to save you time and money. 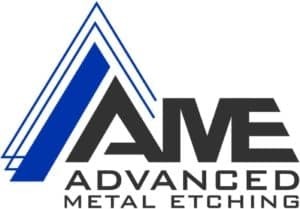 .001" .002" .005" .010" .015" .020" .040"
.001" -0.005" At least Metal Thickness, Minimum .003"
Less than 0.005" At least Metal Thickness, Minimum .003"